Cambridge Connectors Ltd was founded in 1983 by Michael Wilson, an entrepreneur working in the high profile engineering and design community in Cambridge. Mike knew many companies in the area that were innovating and developing new products, with one common requirement, they needed high quality cables and connectors, made to exact sizes and specifications. Mike formed the company to design connectors for those customers and his second company, System Connections, (Cambridge) Ltd, followed in 1988. Both companies traded in parallel until they were united as Cambridge Electronic Industries in 1998. From this small beginning, accepting some challenging projects with an ethos that “nothing is too much trouble”, the company steadily grew, largely on the recommendations of its customers. Today, Cambridge Electronic Industries is a global design and manufacturing business, but it remains under the same private ownership and still offers the same friendly and helpful service. As specialists in connectors and everything related to them, Cambridge Electronic Industries designs and manufactures its own connectors and acts as distributor for the world’s best-known connector manufacturers. We typically supply bespoke cable assemblies and integrated solutions designed and built for specific requirements and we operate with a network of distributors and representatives throughout the world. Our design team have always pioneered new connector designs and standards. Our latest developments, introduced during 2017, are high specification connectors and cable assemblies for 3G, 6G and 12G for the broadcast and vision markets and we have filed several patents for them. Cambridge Electronic Industries’ design team and UK manufacturing facility are based in our own headquarters in Waterbeach, just north of Cambridge. We also have manufacturing facilities off-shore, in Taiwan, with considerable investment in tooling, so we can scale up to larger production volumes efficiently. 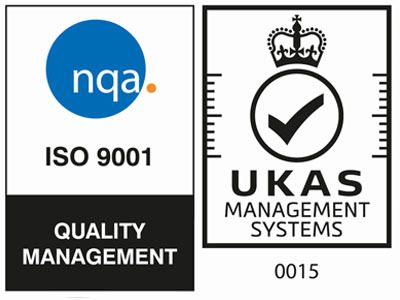 Importantly, both our Cambridge head office and our Asian manufacturing facility have ISO 9001, 2015 certification, so our customers can enjoy the assurances of product quality, service and security that the certification brings. We have also been granted ISO 14001 environmental certification during 2018. Today, our customers come from a wide range of industries which include broadcast, machine vision, telecommunications, transport, aerospace, defence, medical, test and measurement, instrumentation and the new field of autonomous, electric and hybrid vehicles.